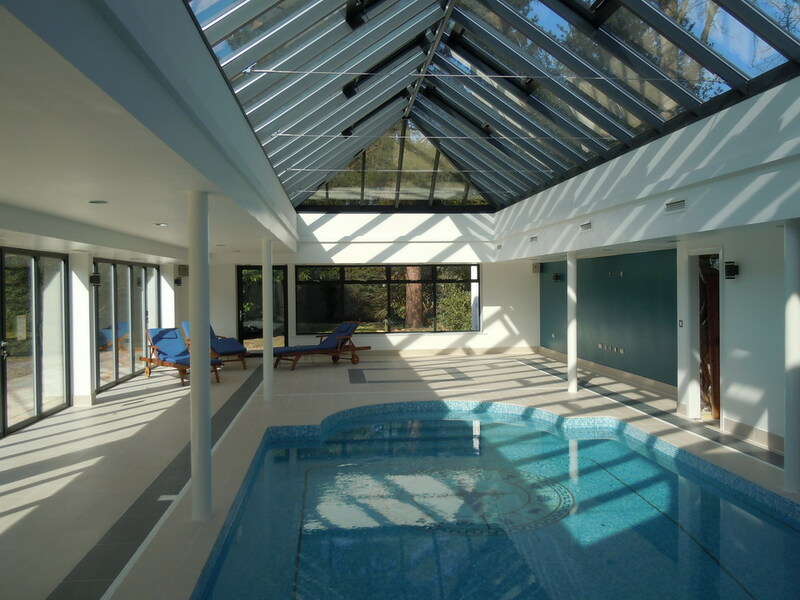 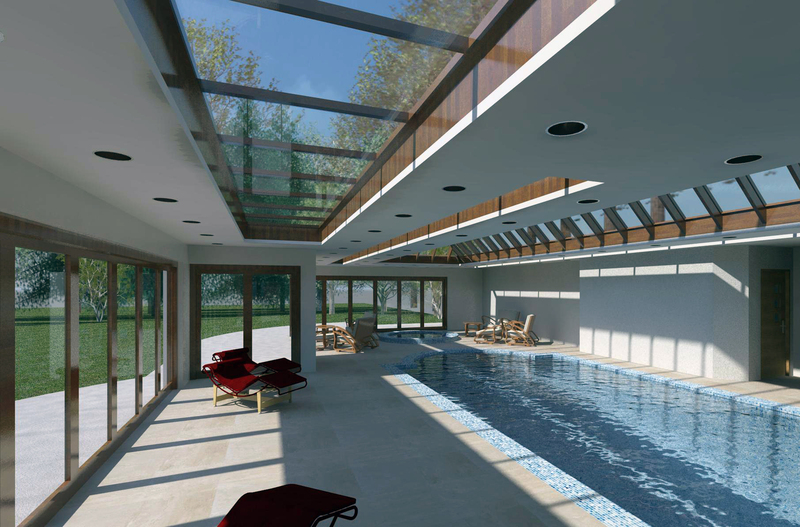 The clients brief was to enclose the pool whilst retaining as much natural light. 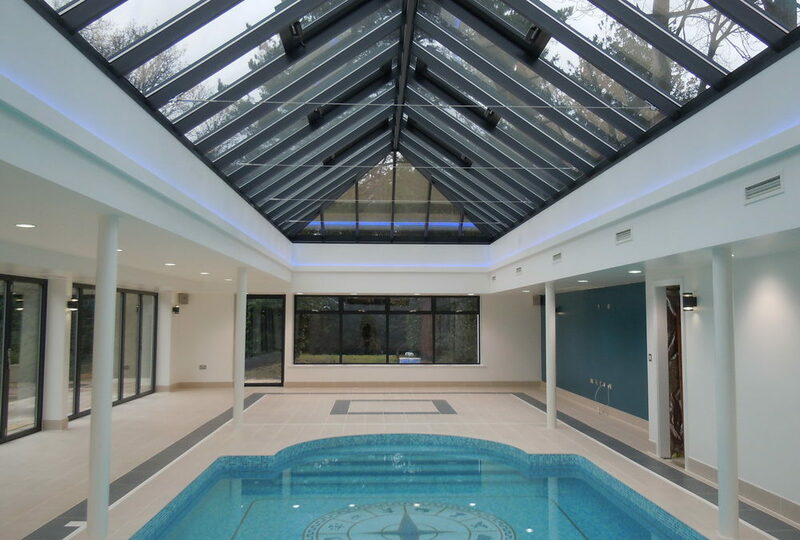 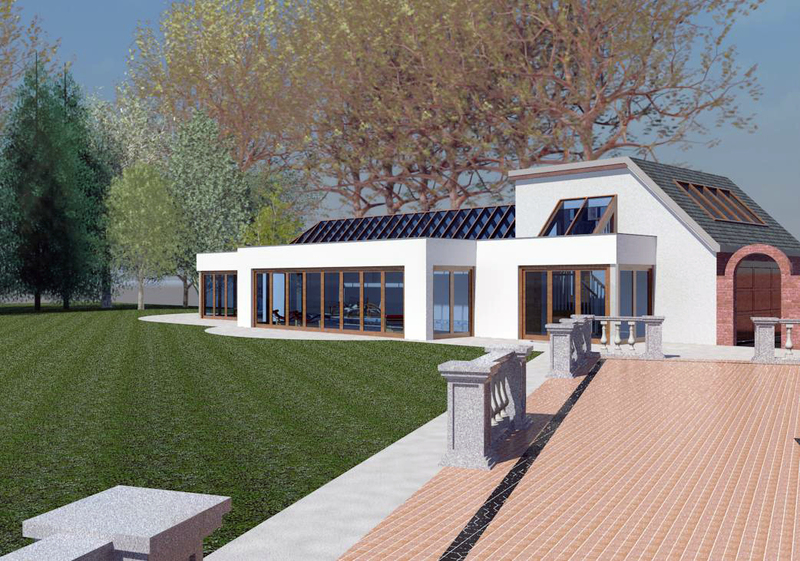 This has been achieved with large bi-fold doors looking into the garden and a large Atrium ridge light which sits directly over the existing pool. 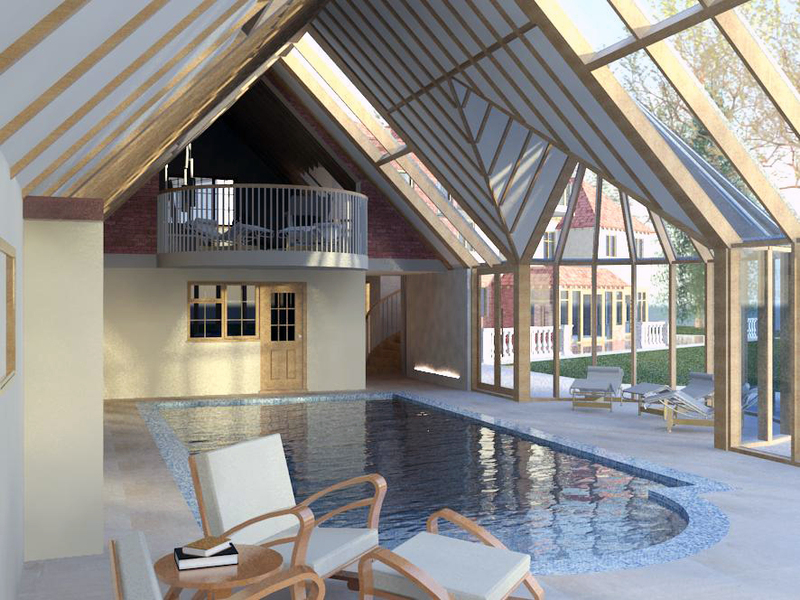 A feature of the room is a large triangular window which looks from the first floor gymnasium over the pool. 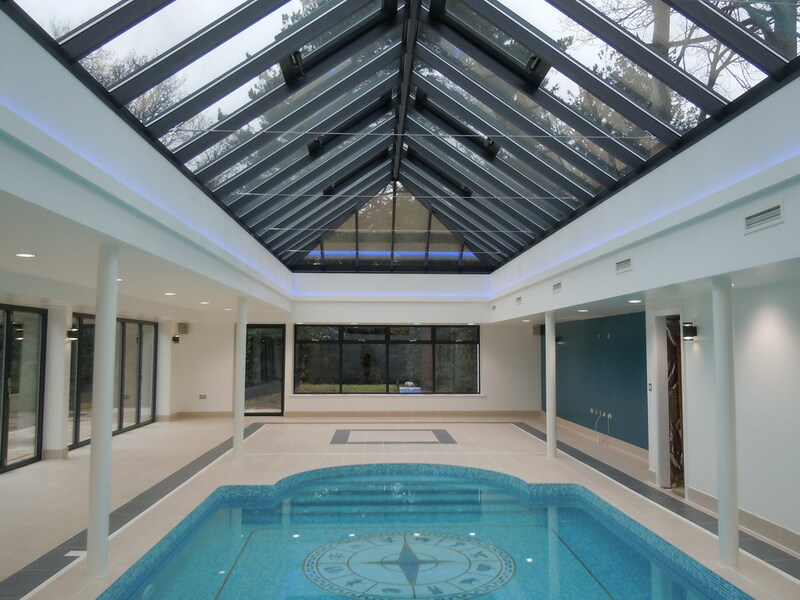 This project was completed in early 2013.